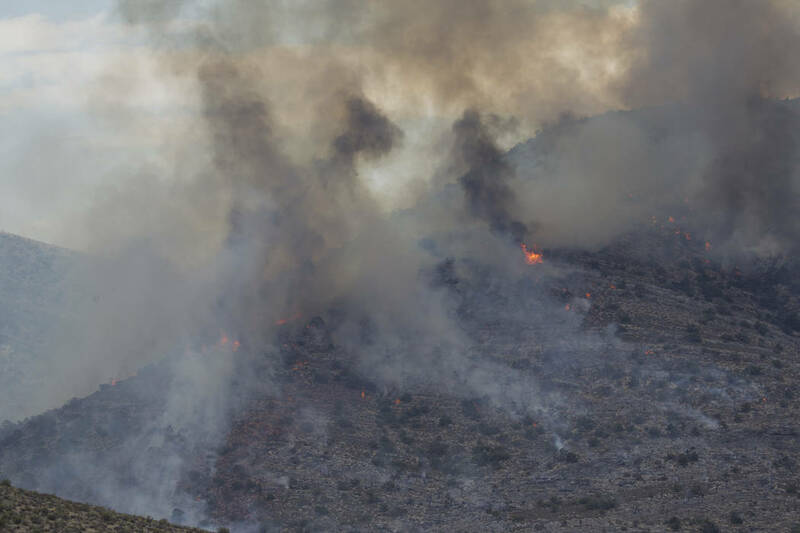 Containment efforts for a wildfire on the western side of Mount Potosi improved Monday, the U.S. Forest Service reported. 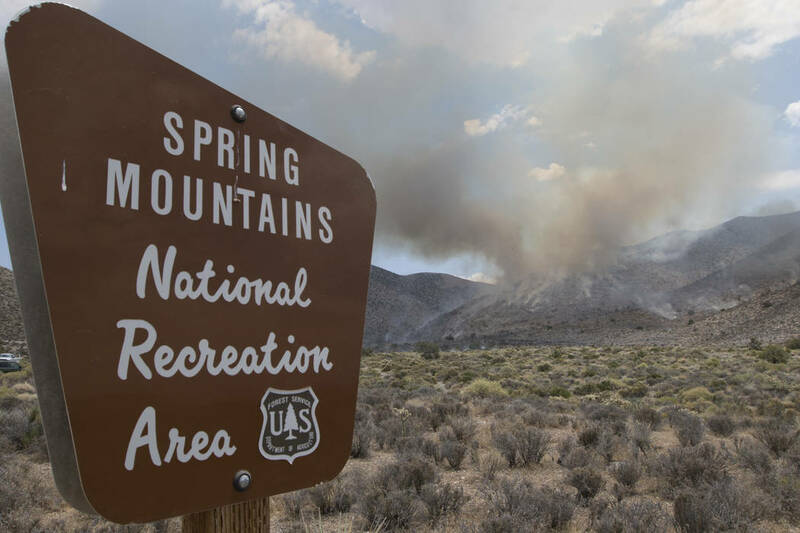 The fire was 75 percent contained Monday evening, though it continued to burn across roughly 420 acres, as it had since Saturday in the Humboldt-Toiyabe National Forest’s Spring Mountains National Recreation Area —which is just six miles southwest of Mountain Springs and 28 miles southwest of Las Vegas, Forest Service officials said in a news release. The Forest Service reported passing storms were causing “isolated torching of fires,” But there were no changes in the perimeter of the fire. The Forest Service also reported plans to downgrade the wildfire to a Type 4, from a Type 3, on its Incident Command System (ICS). The system measures the level of complexity of a situation on a scale of one to five, with Type 1 being the most complex. The fire is expected to be completely contained by July 14, according to the Forest Service. 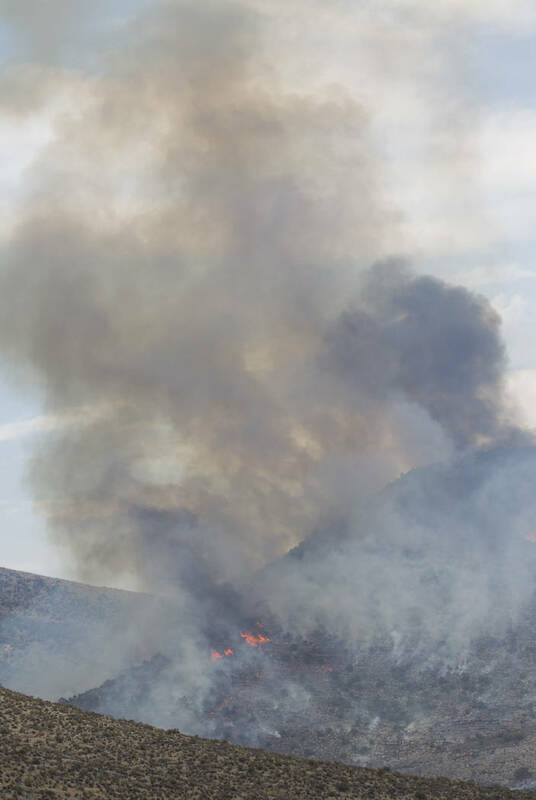 The wildfire, thought to have been caused by a lightning strike, initially began around 7 p.m. on Thursday, July 6 and spread to about 200 acres by Friday morning, the Forest Service reported. By Saturday, the fire had grown to over 420 acres but was 20 percent contained by that evening, the Forest Service said. 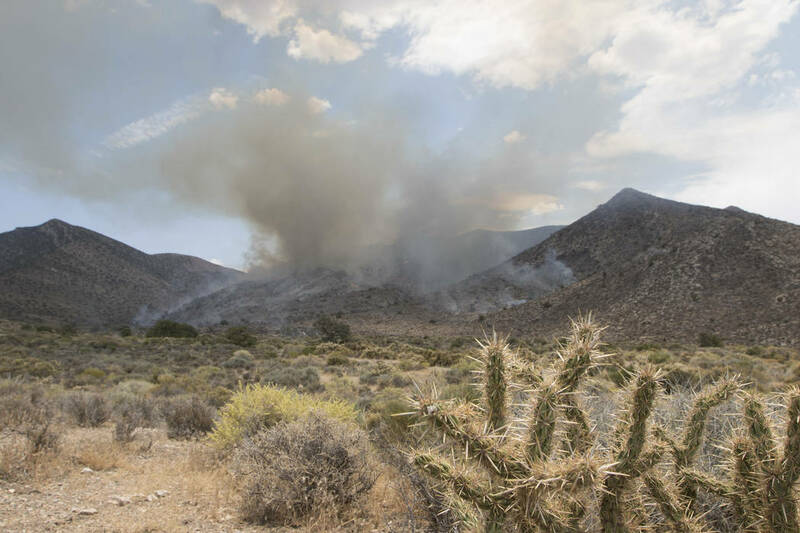 At its height, fire crews battled the heat from the blaze along with extreme temperatures that reached into the triple digits. The potential for thunderstorms and wind gusts up to 50 mph contributed to the wildfire that had 116 personnel on the front line as of Monday, the Forest Service reported. 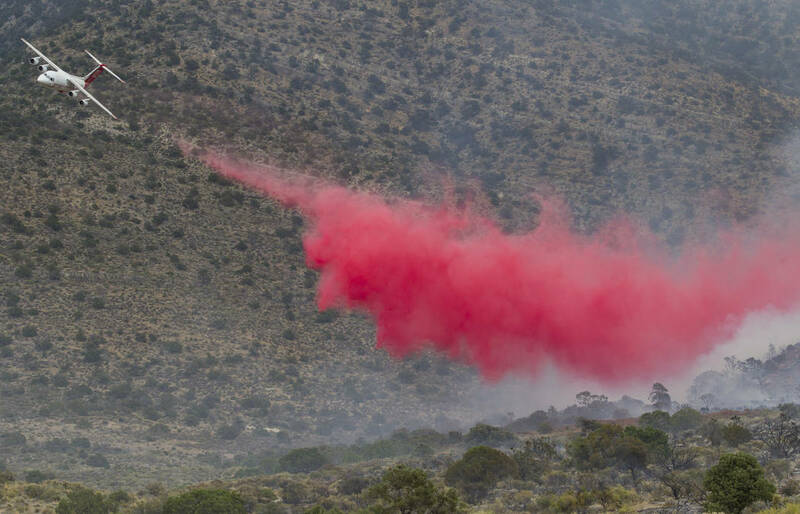 Personnel and equipment on the Mount Potosi fire included eight smokejumpers, four engines, a helicopter and thirteen overhead were being used to battle the wildfire on Monday, according to the Forest Service. 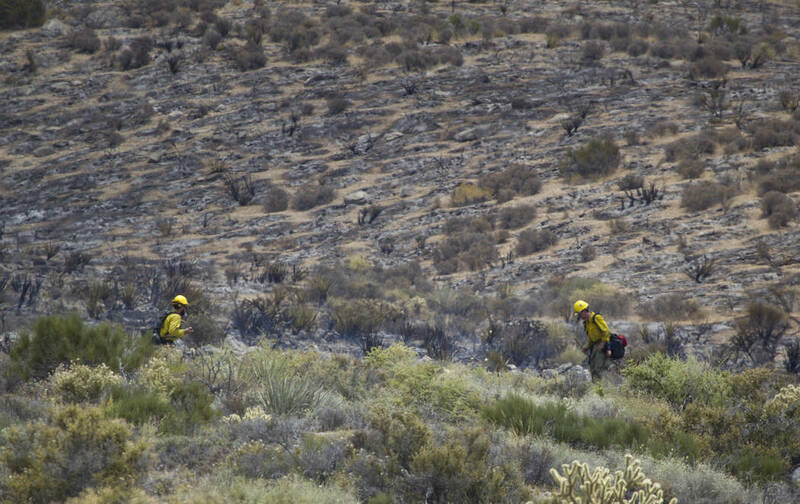 The Mount Potosi fire is one of two wildfires that began on July 6. The second, which was quickly contained by the morning of July 7, was near the Kimball Scout Reservation—an 1,100-acre Boy Scout camp. The Boy Scouts called off a three-day camp scheduled for Sunday one day after the fire broke out on July 7. The camp was set to have 150 people for an event for 10- and 11-year-olds starting Sunday. The U.S. Forest Service and the Bureau of Land Management responded to both fires. The Mount Potosi fire is not nearly as large as the Carpenter 1 fire that occurred in July 2013. That wildfire forced the evacuation of hundreds of homes in the mountains and burned nearly 28,000 acres.